How Big Is a 1-Carat Diamond? Pink diamonds are the rarest and most expensive kind. 1 How Big Is a 1-Carat Diamond? All diamonds are assigned value based on their cut, color, clarity and carat weight. Cut refers to the way a diamond cutter or jeweler cuts a raw diamond to give it a shape that allows light to bounce from one sheer line to another, refracting light and causing the diamond to sparkle intensely when the sun hits it. 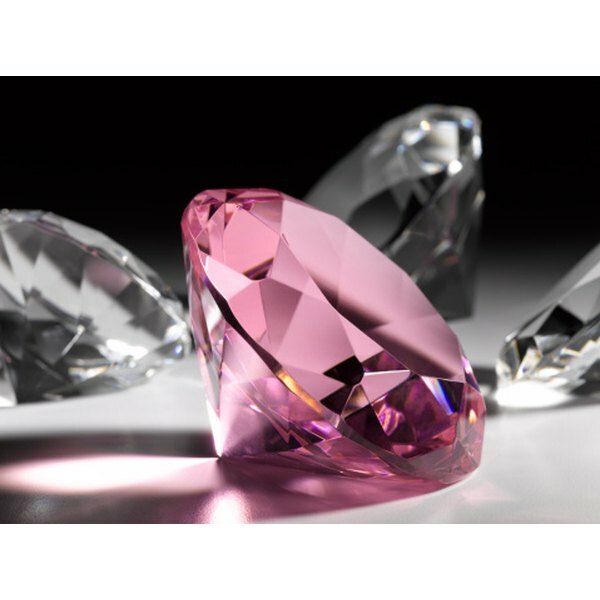 Diamonds can range from no color to white, pink, blue, yellow and champagne. Clarity measures the amount of imperfections present in a diamond and carat is a measure of the weight or size of the diamond. These factors determine the rarity and therefore, cost of the diamond. The rarer a diamond is, the more expensive it will cost to own. The single most influential factor on a diamond’s cost is its carat weight. Large carat sizes are rare, which makes them more expensive than smaller ones. Diamonds are valued on a per carat basis. At the time of publication, a one-carat diamond could easily cost the buyer around $12,000. The most expensive diamonds readily available to customers at retail outlets cost over $1 million and weigh nearly five carats. White diamonds are the most common type of diamond sold commercially, and they range from colorless to light yellow. Colorless are the rarest and therefore most expensive type of white diamond. Colorless white diamonds are categorized by the letters D, E and F, with D having the least color and therefore being the most expensive. Letters G, H, I and J indicate a near colorless diamond, whereas letters S through Z indicate a light yellow, and therefore less expensive diamond. Pink diamonds are the rarest and most expensive colored diamond in the world and far outweigh the cost of a colorless white diamond. Ninety five percent of the world’s pink diamonds come from the Argyle mine in the East Kimberly region of Western Australia and less than one-tenth of 1 percent of Argyle diamonds are pink. Therefore, pink diamonds are the most expensive. Diamonds also come in champagne, yellow and blue colors. The stronger or more intense the color, the more expensive the diamond. White diamonds range in color from slightly yellow to colorless, with colorless diamonds being the most expensive variation. The clearer a diamond is, the fewer the flaws and therefore, the more expensive it is. A series of letters are used to determine the clarity of a diamond. For instance, “F” is used to indicate a diamond with no internal or external flaws, and is extremely rare. “IF” denotes an internally flawless diamond. “VVS1 - VS2” indicate very high quality diamonds with minute inclusions (flaws) not distinguishable by the naked eye. “SI1-SI2” diamonds also have flaws, which are not visible to the naked eye, whereas “I1-I3” are the least expensive diamonds as they have flaws visible to the naked eye. The cut of a diamond influences its cost. Cut does not refer to shape but rather its ability to reflect light back to the viewer. An ideal cut makes a diamond shine by allowing light to reflect cleanly off the diamond and back into the viewer's eye in a brilliant way. Like clarity, a diamond's cut can only be determined when viewed beneath a microscope. Because a diamond's cut is not readily visible to the naked eye, flaws are not as noticeable, so a diamond's cut plays less of a factor in its cost than carat size and color. The most expensive diamonds are cut with precise symmetry and polish. Polish refers to the smoothness of the surface of the diamond, while symmetry refers to clear angles and lines around the outside edge of the diamond, which form its shape (round, princess, pear, trilliant). The most expensive diamonds have excellent symmetry and completely smooth surfaces. 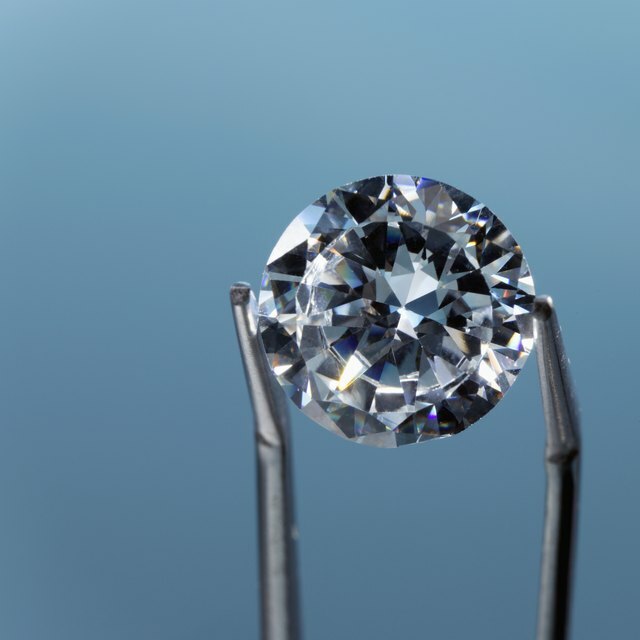 What Is I-1 I-2 Diamond Clarity ?